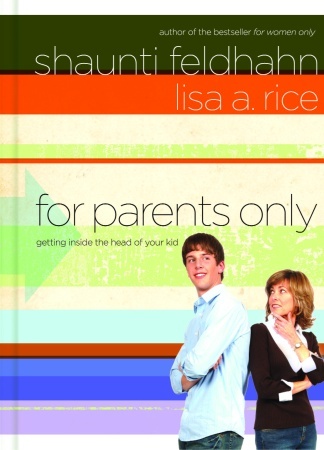 I received a copy of For Parents Only in order to participate in the blog tour for this book. I’d like to thank Liz Johnson for the opportunity to read a book that I may not have otherwise purchased. My son may someday thank you as well! 😉 I have to say it surprised me how much good readable information was in this short book. Essentially, this is a book of summarized surveys that were taken by teens. They were asked a number of questions and gave some pretty direct and helpful responses. Because my son is only 2 years old, a vast majority of the information is of the “store that nugget for future reference” nature. However, there were some basic truths about how to treat a child that I think are applicable no matter what the age. In essence, love your kid and stand your ground. A nice follow up is a reference to Shaunti’s website for more information. This was a fairly easy to read book. There is a nice amount of story telling about their survey experiences as well as examples from their interactions with their own children. This one gets good marks on the “re-readability scale” because I have the feeling that I will need a refresher as my son gets closer to his teen years. Right now, our conflicts primarily consist of me telling him it’s nap time and him throwing his body to the floor in the magical too-stiff-to-hold and too-spaghetti-like-to-wrangle combination. Since I know this will change, I will be keeping this book on hand for future reference. Actually, now that I think about it, this book has similar value to me as does the book by Dr. Laura Schlessinger, The Proper Care and Feeding of Husbands. As I said in that review, that’s a book that I plan to read every couple of years. This one has that same “boy, I really should remember that” kind of quality. I read this book in about two longer (waiting for an eye-appointment, and getting a pedicure) and three short (before bed, bathroom, 5 minutes on the couch) sittings.